My daughter and I have been having fun with the latest Kano computer and coding kit, which comes with a screen. It's powered by a Raspberry Pi, a small Linux computer, and was created to allow kids to make games, music, and art through coding. The operating system is already installed and comes with a bunch of fun applications and games, like Scratch and Minecraft. 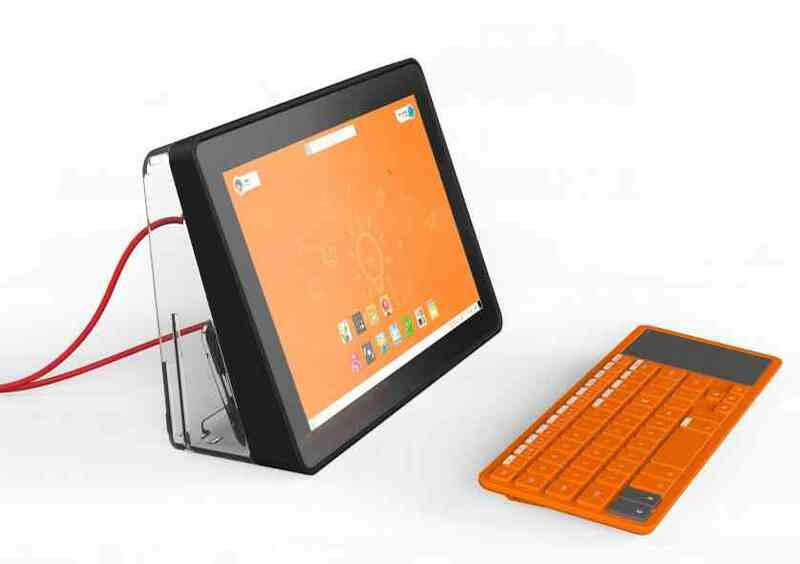 It has built in wifi and a Chromium web browser, and the small orange wireless keyboard has a touch pad. It plays YouTube videos and you could probably get away with using it as an everyday computer. To "build" the Kano, you follow the simple, well designed instructions to snap pieces together. The manual describes the function of each component as you go along. Once you put it together, plug it in and you'll be taken on a candy-colored tour of Kano-land, where you can create an avatar and sign up for an account on Kano, so you can complete quests (like customizing a Pong game with a Scratch-like program called Kano blocks), and share and download your creations. There's a game called Terminal Quest that teaches Linux commands as "spells" to make things happen. Check out Kano's Make Art website to give you an idea of what Kano's coding environment is like. The Screen Kit is a 10" LDC 1280 x 800 display that's crisp and bright. You don't need the screen to use a Kano. If you want you can buy the basic Kano kit and plug it into any HD display. The overall design of the hardware, software, and printed documentation is terrific.